Pitt’s Max Thorne and Joe Bender celebrate a victory at the Stanford Invite. Photo: Gerry Mooney. A lot of what ultimate prognostication comes down to is labelling a team as a “contender,” “not a contender,” or that seductive, but perhaps meaningless middle ground of “possibly a contender.” At the end of the day, when the goal is to win a title, the only question that matters is “can you win a title, or can’t you?” Obviously, most teams want to find themselves on the “can” side of that line. Programs work tirelessly for years to put themselves in the position to genuinely have a chance at winning a National championship, to give themselves a “window of opportunity” to win a title. But what then? How does a team maximize its chances of winning a title? Is it better to keep the window open for as long as possible, hoping that one year things fall in place, or is it better to really go for it one year at the expense of having the window shut on you earlier than you anticipated? In college ultimate, this decision is made every year by teams when they decide what their priorities are: do we focus on getting our top guys tons of playing time so they are 100% ready to play their role at Nationals? Do we take a step back from results and focus on development of younger players? Do we try to find a middle ground? There are recent examples of all of these approaches succeeding and failing to various degrees. In 2014 Colorado Mamabird went all in, not taking a single new player onto their roster, and it paid off with a title. Of course, their championship window closed after that year, and they are working now to re-open it. In 2014, Mamabird made the decision, based on their personnel, to go all in. They felt the window of opportunity was closing, and it was now or never for the Mickle generation of Colorado players to win a title. On the flip side, Texas had a window from 2013-2015 in which they were consistently a top 3-7 team in the country, but were never able to make it past quarters. They never seized the opportunity, and now they are facing a big rebuild with no silverware to show for their period of dominance. This year, with such an open field, there are teams all across the spectrum of opportunity. For many, the window isn’t open at all, for some it is just now opening, for others the window looks like it will stay open for years to come, and for some the window will be slamming shut after this season. These various windows can inform how a team prepares for a season, what their objectives are, and at Nationals, what is at stake. Here is a look at where some of the top teams this year are, and what is at stake for their program at Nationals. We start out with a team whose title window isn’t quite open yet, but their future is so bright that it should be wide open by next season. Nationals won’t necessarily be about getting the best possible results, but about getting some high level experience for their stars of the future. UNC Darkside: There’s no need to rush for Darkside this year, as this trip to Nationals can be considered valuable experience for a young team. The farther they advance, the higher the pressure of the games will be, and the more valuable the experience. Particularly, it should forge some more ties in their offensive backfield as the Sophomore-Freshman duo of Matt Goucho-Hanas and Elijah Long will get to experience running the show at the highest level. The past two seasons we saw UNC put a lot of eggs in the Nationals’ basket, as those veteran heavy Johnson-Nethercutt-Snell teams were on the precipice of a title. This year, UNC just needs to get their young guys some high pressure reps, and any success that follows is gravy. Long shots to win the title this season, but with a young core and groundwork laid to keep the team more and more competitive over the next few years. Oregon: Some people, yours truly among them, may have written off Oregon as legit title contenders after losing Dylan Freechild and his wingmen Trevor Smith and Mario Bundy. While Ego may not be among the favorites to take home the title in Raleigh, they earned the second overall seed and have a genuine chance to finally bring some gold back to Eugene after four straight semifinal appearances. And while they are longshots to win the title this year, the thought of next season should get Oregon fans really excited. The freshman class for Ego has exceeded expectations, and might be from top to bottom the strongest in the country when everything is said and done. On top of that, Connor Matthews, Colton Clark, and Adam Rees are all returning next year, meaning that Ego will be returning the keys to an O-line that is already very good and could be great next season. With their history of success and position near the top of the rankings, Oregon will be coming into the weekend with dreams of raising a championship trophy, but no matter what happens in Raleigh, they are in good shape to contend into the future. Carleton: It speaks to the quality of Carleton’s young players that even though the team is facing the loss of two Sockeye players and overall incredible talents in Justin Lim and Jesse Bolton, those losses almost seem like afterthoughts when you hear insiders drool over the talent coming up through the CUT system. Sol Yanuck and Henry Fisher have really delivered on the promise they flashed as freshman last year and Alex Olson has been dropping bombs all season for Carleton. Their surprise victory in the North Central by default vaults this team into at least the conversation of darkhorse title contenders, but in all likelihood it appears that their victory in the rain and muck in Cedar Falls will be the highlight of this season, and anything beyond quarterfinals at Nationals would be a surprise. Even if that is true, there’s no need for this CUT team to panic, because after missing out on Nationals last season, the reps they will get their young studs this time around should pay off big dividends next season and beyond. One of the favorites to win this year, and in the future. The best place for a program to be. UMass: Massachusetts are in a virtually perfect position as a program, as they are both title favorites this season and still loaded with talent for seasons to come. After ending a long Nationals drought two seasons ago, Zoodisc has steadily shown that they are ready for the brightest of spotlights. Along the way, young players like Ben Sadok, Conor Kline, and Brett Gramann cut their teeth in big games, and have now become steely veterans. That trio could start for virtually any team in the country, and none of them are seniors, which means that in all likelihood they will be back at Nationals next season. On top of that, Tannor Johnson has proven himself to be not just one of the best freshman in the country, but one of the best players, period. And of course, that still leaves open the big question: will Jeff Babbitt will return for a 5th season? It speaks to how much returning talent UMass has on hand that they could lose the frontrunner for POTY and still be in consideration for the top spot in the power rankings next season. Maybe things will look different next week, but for now, things look awful bright in Amherst. The team could absolutely win a title this year, but after that, the future is murky. Teams in this stage are in 100% “win now” mode, because the end of this season is the end of contention for some time. Pitt: It’s now or never for the core of this Pittsburgh team to win a title outside of the shadow of those Alex Thorne-Tyler Degirolamo repeat champs from 2012-2013. For the past three seasons the Max Thorne-Trent Dillon-Pat Earles-Christian Pitts teams have wowed fans with immaculate offense and staggering W-L records, keeping the torch alive from those championships teams. But they haven’t been able to win a title to call their own, to cement their generation’s place in the annals of Pittsburgh’s storied history. This year is the last chance for them to do it. For a team that has suffered some mental issues in big spots over the past few years, it will be a challenge for them to ignore the impending mortality of their status as perpetual title contender, because whenever the point is scored this weekend that ends Pitt’s season, the title window for them closes. While it’s true that following the 2013 title the team came back strong and were a one seed again the next year, the crop of young talent on Pitt this season is not as prominently involved as Dillon, Thorne, et. al. were on the previous title team. The veterans on this Pitt team handle a staggering proportion of the load, and the young players on the team, while clearly talented, will likely need a year of learning how to be the guy before Pitt is back on this stage again. It’s the last ride for this Pitt team, and it should be a wild one. Minnesota: This could be it for Minnesota for the time being, as their roster is stacked with seniors and 5th year players who do most of the heavy lifting. Osgar, Jagt, Shah, Van de Moortele, and Anderson will or could be gone after this weekend, which leaves a big hole in the roster for next season. While there are several impressive underclassmen set to return next year for Grey Duck, Tony Poletto is one of the only players for Minnesota definitely returning in 2017 who has experience playing a big role on the team. With the Hopkins pipeline going strong and Sub Zero acting as a perfect training ground for the North Star state’s best talent, Grey Duck will continue to be competitive, but 2016 is likely their last chance in the foreseeable future for the team to make a push for a title. UNC Wilmington: Wilmington could look remarkably different this time next year. 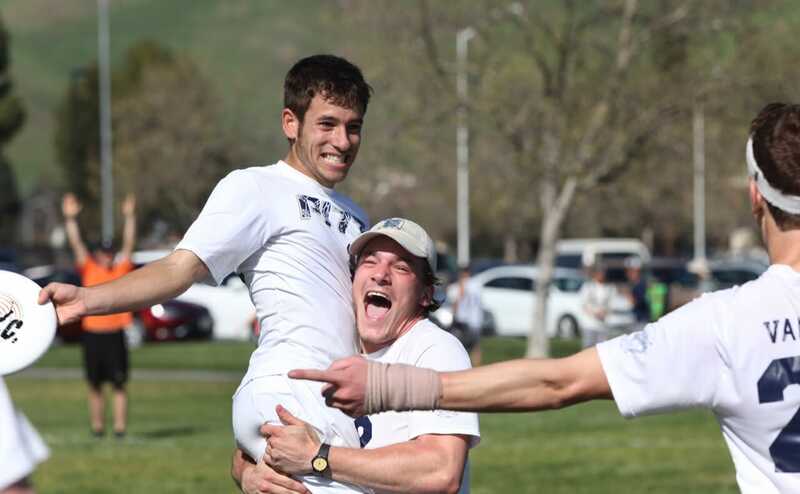 In 2013 the current iteration of this team with Xavier Maxstadt and Charlie Lian prominently involved started to take form, and really coalesced into their current identity in 2014 when Jack Williams burst onto the scene and the Seamen crashed semis. Most of that generation of players are set to leave after this season, as Maxstadt, Austin McGrayne, Eric Esposto, Williams, and Matt Mason are all seniors. Depending on who sticks around for a 5th year, this could be the last hurrah for Wilmington until further notice. You just don’t get guys that talented all at the same time every year, and if you’re a Wilmington fan, you have to hope that the team can approach the urgency of their situation and take advantage of this opportunity to bring home a title to a program that hasn’t tasted gold since 1993. Comments on "The Championship Window: Which Men’s Teams Are Built For Now?"